"Lethbridge-Stewart. Expect you're wondering who the devil I am, eh?" On the original run of the Blog we found ourselves half half way through the Troughton episodes with this episode, though of course the production team didn't know that at the time. Neither did they have an idea quite how important today's episode would turn out to be. You'll know why virtually immediately. Evans shoots at the glass pyramid shattering it but the fungus web in the tunnels continues to advance. 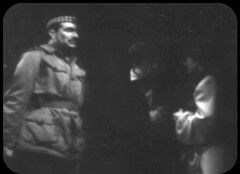 Victoria is calling for the Doctor in the tunnels when she is waylaid by the soldier "One Moment" he says stepping out the shadows, but he's accompanied by the Doctor. Learning they're connected with Travers he takes them back to Goodge Street. Anne reports to Captain Knight that the circle line is completely enclosed with fungus now. Arnold delivers word that Victoria has returned, with the Doctor and a Colonel. The Doctor tells Victoria he was knocked out by the explosion and then met the Colonel in the tunnels. Blake guards the Colonel waiting for Knight. When he arrives the Colonel introduces himself: He is Colonel Lethbridge Stewart and presents his authorisation papers to take over command of the Goodge Street fortress. 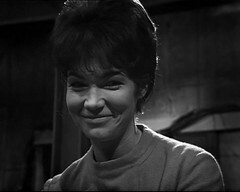 Travers and Ann apologise for the misunderstanding that led Victoria to go into the tunnels. Now on the Central Line, Jamie & Evans have reached St Paul's. At the fortress Chorley is trying his best to leave. Travers recounts how one of the control spheres brought back from Tibet was reactivated. Reaching Chancery Lane, Evans and Jamie part company with the Welsh driver attempting to return to the surface. Knight & Lethbridge-Stewart hold a briefing bringing the Doctor up to speed on how the mist and fungus appeared and spread. Chorley interrupts proposing they be air lifted out, but the Colonel dismisses the idea. Jamie is reunited with Evans: he couldn't get out because the gates were locked. Queensway, Lancaster Gate, Strand and Chancery Lane all fall to the fungus as it works it's way inwards from the circle line. The Colonel gives Chorley the job of liaison officer to keep him occupied and out of the way. The Doctor suggest a way of remote detonating some explosives in the tunnel to seal themselves in. Someone is opening the main door to the fortress. Victoria finds the Yeti models in Travers' lab - however one is missing. Elsewhere the missing model is placed on the floor, making a bleeping noise summoning a Yeti. Victoria is horrified by the plan to blow up the tunnel: Jamie won't be able to get to them. The Yeti enters the base. Knight finds the padlock for the door and the Yeti model at the explosives store and leaves Lane guarding it. 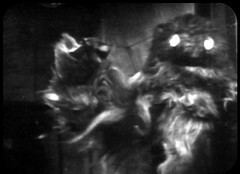 The Doctor opens the explosive store to find it full of web: the Yeti have destroyed their means of attack. The Colonel and Knight take a squad to Holborn to attempt to recover the explosives there. Victoria accidentally tells Chorley about the Tardis at Covent Garden and he leaves to find it, shutting the Doctor and Victoria in a room. They're released by Jamie and Evans. They all depart to find Chorley. There's a scream in fortress: Travers finds Weams's body with a Yeti statue as an actual Yeti looms over him. 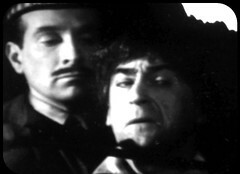 You can't get round it, what you have to talk about this episode is the first appearance of Lethbridge Stewart, here still ranked as Colonel. He'll be back more often than any other character in Doctor Who and Nicholas Courtney would have a job for life. But it could all have been so different: Originally cast in the role was David Langton, who backed out in late November after being offered other work. 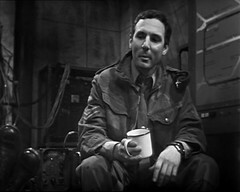 Douglas Camfield instead offered the part to Nicholas Courtney , who he'd previously used in Dalek Masterplan, and he had planned to have played Captain Knight. 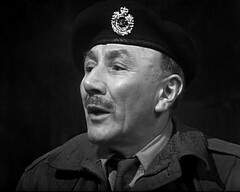 The script, as written, calls the character Colonel Lethbridge: Douglas Camfield altered the name to Lethbridge Stewart. 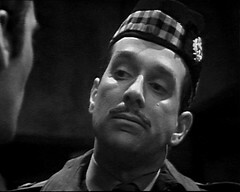 COLONEL: Lethbridge-Stewart. Expect you're wondering who the devil I am, eh? KNIGHT: Well, as a matter of fact, sir, yes. COLONEL: Well, I couldn't tell you before but you're a bit cut off down here, aren't you? I'm taking over from Pemberton. Sorry about him. Very fine soldier. COLONEL: Authorisation? Yes, of course. Here are my papers. Glad to see you don't take things at face value. KNIGHT: All right, Blake. You can fall out. KNIGHT: How did you get in, sir? COLONEL: Holborn. Ammunition party. Got badly beaten up. All the men dead, I'm afraid. KNIGHT: Not all. Evans managed to escape. Of course *knowing* that Colonel Lethbridge Stewart would go on to become such a huge part of the show does rather defuse an aspect of the story here: he shows up, with slightly flimsy credentials, and suddenly things start going wrong in the fortress. Someone's under the intelligence's control and, without the knowledge of the future, Lethbridge Stewart is your number one suspect. Once you know who the traitor is it's worth going back and listening to the episodes again: they do drop some little tiny hints on the way. "Don't you understand, Sergeant? I've... I've got to get out of here!" COLONEL: What is it, Mister Chorley? We're in the middle of a briefing. CHORLEY: Yes, so I see. Did you know about this door to the surface? A helicopter could lift us all out. COLONEL: Could it? Always assuming we could make contact with the outside world, which we can't, how do you imagine they would find us in that mist? Sit down, please. COLONEL: And as such, Mister Chorley, you are no more than a passenger. COLONEL: Queensway, Lancaster Gate, Strand, Chancery Lane. All in a half hour, and it's creeping in all the time. How long do you think we've got, Professor? TRAVERS: It's difficult to say. Why, at this rate, oh, a couple of hours at the most. CHORLEY: Look, Colonel, you've got to do something. We can't just stand here waiting, can we? COLONEL: Ah, Mister Chorley. You'd like to help, wouldn't you? COLONEL: Yes, of course you would. Now look, I'll tell you what I want you to do. We shall all be rushing about a bit, so what I want you to do is to wait in the Common Room. Act as a sort of Liaison Officer. You could do that, couldn't you? COLONEL: Yes, of course you could. Off you go. We'll all report progress to you personally. CHORLEY: What, do you mean coordinate things? COLONEL: Yes, that's it. Corporal Blake? COLONEL: See that Mister Chorley has everything he needs. Desk, comfortable chair, plenty of paper and so on. COLONEL: Off you go. Right, that's enough diplomacy for one day. Now, let's get down to some practical soldiering. "Aye, well I've got it all worked out, see. Next station's where I'm getting off. Last time, the Yeti were at Holborn Station, so I reckon if I can get out at Chancery Lane, I might be able to reach my lorry." Evans too blatantly doesn't want to be there as his refrain of "shouldn't be down here at all, you know. Driver, I am." makes clear. Unfortunately his attempt at doing a bunk goes rather wrong and he ends up back with Jamie in the tunnels. VANS: Argh! You gave me a fright there for a minute, boy. EVANS: Aye, well, I changed my mind, see. Quite right, you were. Can't leave your mates when they're in trouble, can you? EVANS: No, well, it wouldn't be right, would it? JAMIE: Well, what was it like up top then? EVANS: Don't know. Well, between you and me, I couldn't get out, see. The gates were locked. EVANS: Aye, let's get over to HQ. At least we'll be safe there. The theme of being trapped is emphasised by the hope of escape being closed off as the Circle Line completely falls to the fungus sealing them in. We've got a station mentioned in this episode that you won't find on any present Tube map: The Strand was then the name for the Northern Line station that now forms part of Charring Cross. See This Lononist YouTube Video for an explanation as to how the names have changed. The cast of this story features some familiar faces from other Doctor Who productions. 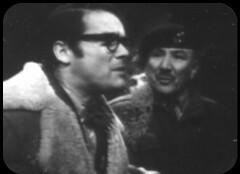 As we've noted, Nicholas Courtney was previously Brett Vyon in Dalek Masterplan and Jack Watling was Edward Travers in his previous appearance in Abominable Snowmen. 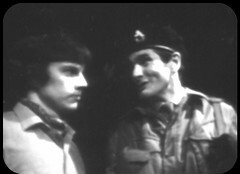 Ralph Watson's already been a scientist in The Underwater Menace before he featured as Captain Knight here and will be back as Ettis in Monster of Peladon and Ben in Horror of Fang Rock - his fellow lighthouse keeper Reuben was played by Colin Douglas who was Donald Bruce in the previous story. He's got a Porridge episode on his CV playing the Landlord in A Day Out. You can hear him interviewed by Toby Hadoke in Who's Round 154 and he appears on the Fantom Films Who Talk Commentary CD for this story speaking about episode 1, 2 & 4. 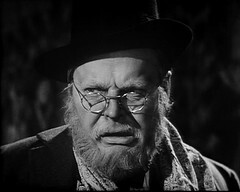 Stephen Whittaker appears as Craftsman Weams. 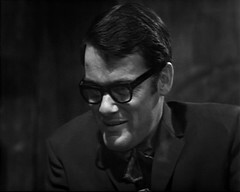 In 1967 he'd been in both parts of the Z-Cars story Finch & Sons, directed by Douglas Camfield. 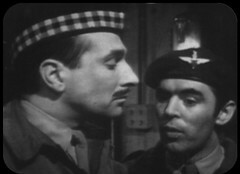 As we've noted previously Z Cars Finch & Sons part 2 includes episode 1's soldier Bernard G. High but as well as these two actors that Z-Cars episode also features Richardson Morgan, who plays Corporal Blake here. 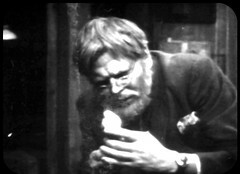 Camfield had used Richardson Morgan during 1967 in Z-Cars again as an Ambulance Man in The Placer part 2 (which also features Yeti actor John Levene, previously a Cyberman in Moonbase) and he'd return playing James Bilson in the two part Camfield directed Fear or Favour in 1969. He'd later work for Camfield yet again in Van Der Valk. Morgan also appeared in Doomwatch playing an Engineer in the First Airline Crew in The Plastic Eaters and Bill Manzaro in The Killer Dolphins. 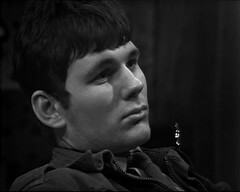 Rod Beacham, as Corporal Lane, is in his first TV job here. Camfield would ruse him in Special Branch: Assault. 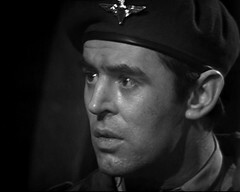 He'd go on to become a writer and pen the Blake's 7 episode Assassin - interestingly the NEXT Blake's 7 episode was written by the former actor Bill Lyons who was in the PREVIOUS Doctor Who story The Enemy of the World as a guard. 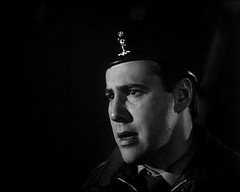 Jon Rollason, as Harold Chorley, has a significant role on his CV as Dr. Martin King, one of John Steed's temporary assistants following the departure of Dr David Keel, in the first few episodes of the second series of The Avengers. Derek Pollitt, Driver Evans, will return as Private Wright in Doctor Who and the Silurians, and A. St. John D. Caldera in Shada. His brother is Clyde Pollitt who is a Time Lord in the final episode of The War Games and then the Time Lord Chancellor in The Three Doctors. Where's Walter Randall? It's not a proper Camfield production without him! Of the remaining human cast Jack Woolgar, as Staff Sgt. Arnold, had had a long TV career. A web site set up by his son is worth a look especially as it includes an article on this story. Tina Packer, Anne Travers, was a TV regular at the time who later emigrated to the USA where she founded a theatre company. So Web of Fear 3: The one that got away. When Phil Morris found the episodes of Web of Fear and Enemy of the World at the TV Station in Jos Web of Fear 3 was the one missing. Doctor Who Magazine 466 confirms that this is the state of affairs in it's fabulous article on the missing episode finds, which hopefully puts to death the rumours that it's being held back somewhere: it just wasn't there. Sad but true. Things get lost the entire time and the world of Doctor recordings is prone to that: when Ian Levene first visited the BBC archive there were certain stories there with odd episodes missing: Tenth Planet (4), Dominators (5), Invasion (1 & 4), Krotons (4) and Seeds of Death (6). Planet of the Daleks was missing the tape of episode 3. When the videotapes of Invasion of the Dinosaurs were located episode 1 was AWOL. Yes it's a pain that one episode of the story is missing, and yes it is a pain it's a significant one, featuring the first appearance of Lethbridge Stewart. Web of Fear now joins the Tenth Planet as the only two stories which have just one episode missing and oddly BOTH are significant: the missing Tenth Planet 4 is the last regular episode to feature William Hartnell as the first Doctor. In it's place on iTunes and the DVD we get a reconstruction: the off air audio recording is married to the Telesnaps for the episode. I'm a fan of Telesnap reconstructions and personally prefer them to the animations where possible as they're a step close to the original show than inventing new pictures. For the Invasion and Reign of Terror then yes animate them as no Telesnaps exist. But for the other stories with less than two episodes missing - The Crusade, Tenth Planet, Underwater Menace, Moonbase and The Ice Warriors - I'd much prefer them to be presented with a full length telesnap recon even if an animation is also included. I've made my own for the Moonbase and was very pleased when the existing Tenth Planet recon was included on the Tenth Planet DVD. The Telesnaps for this episode aren't of the greatest quality so other sources including publicity stills, telesnaps from other episodes and freeze frames have been used to augment them along with movement including zooming in & out and panning across photos. It's very interesting comparing the telesnap recon of this episode with those produced for The Underwater Menace DVD which are a straight slideshow of the telesnaps for that episode in order. 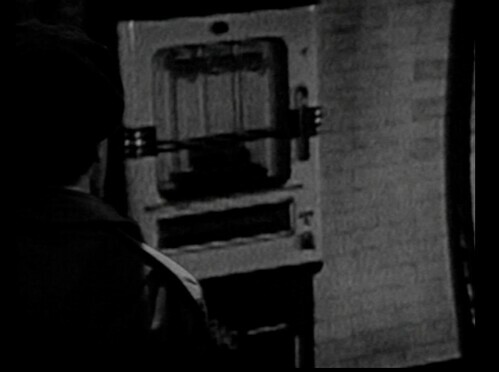 By far the biggest embellishment they've added to this recon is in the sequence where Evans obtains his chocolate bar from the machine.The shot of the chocolate machine doesn't appear in this episode's telesnaps. I think it's been lifted from another episode's snaps, zoomed in, with the image of the back of soldier inserted. More is to follow as the chocolate bar emerges: This shot has been completely created anew for the recon and those responsible have taken the opportunity to insert a little visual joke. 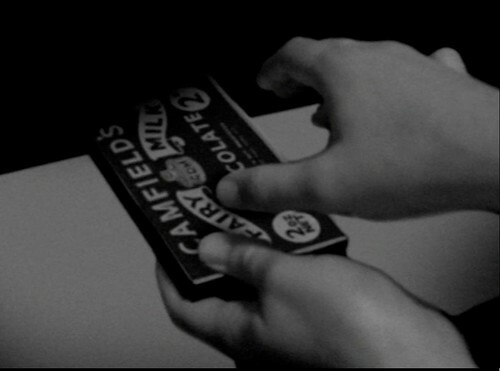 A well known brand of milk chocolate has it's name corrupted to become Camfield's Fairy Milk as a homage to the director. One thing I got from the recon was how the web started out covering an area of South Kensington. That'd tie in nicely with the original intention to use the Natural History museum as the location for the Yeti's reawakening shown in the first episode. As I pointed out in Abominable Snowmen episode 4, Mervyn Haisman & Henry Lincoln have some form for the sourcing of their character names from material related to the story. We've already seen how Staff Sgt Arnold and Corporal Lane probably got their names from the contemporary Pink Floyd song Arnold Layne but what of the rest of the characters? Several can be found on the London Underground map! We've mentioned how Colonel Lethbridge Stewart had his name lengthened: If you taken the original version of his name, Lethbridge, and put it after the name of his Captain you'll see that KNIGHT and lethBRIDGE probable share a joint origin in Knightsbridge station on the Piccadilly Line. 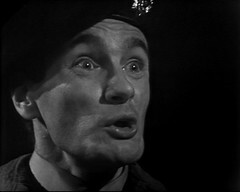 Corporal Blake comes from the now disused Blake Hall on the eastern extremes of the Central Line while Harold Chorley probably gets his name from Chorleywood near the now limits of the Metropolitan Line. I've seen it suggested that Weams, an unusual name in itself, might be a deformation and shortening of West Ham. There's plenty of stations with the word Lane in their title, including the disused Wood Lane, close to the BBC and employed as a location in Dalek Invasion of Earth. That really just leaves Evans, the Driver unaccounted for.... You are invited to look at the list of Underground Stations and have a guess! Weams and Arnold also probably benefit from Military Buff Douglas Camfield's presence directing the show. Weams is given the unusual rank of Craftsman: this indicates he's a private in the Royal Engineers while a Staff Sergeant is a higher ranking NCO than a Sergeant. It all helps to add realistic detail to the company assembled in the tube tunnels.